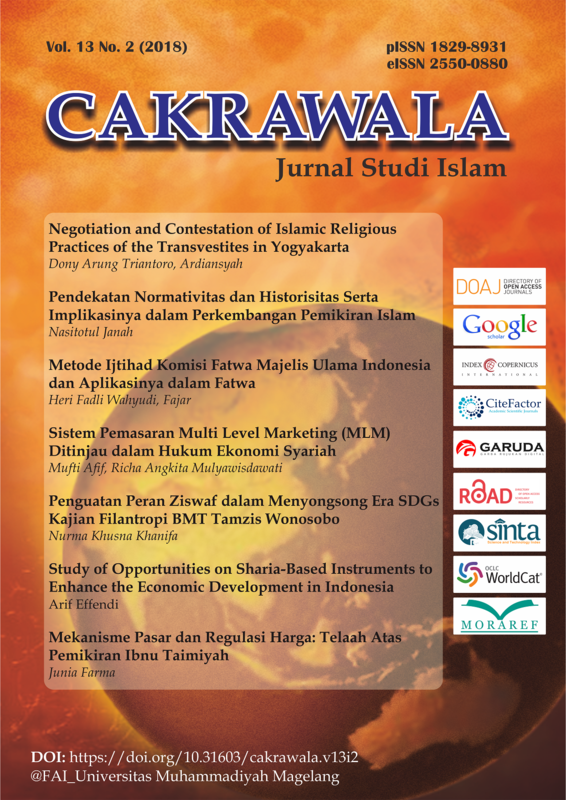 Cakrawala: Jurnal Studi Islam welcomes research papers on a range of topics that include the field of Islamic Studies and wished to channel their thoughts and findings, mainly related to Islamic Law and Islamic Economics. We prioritizes the articles which are written in English language. This information can be forwarded to your fellow researchers and academics at your institution.